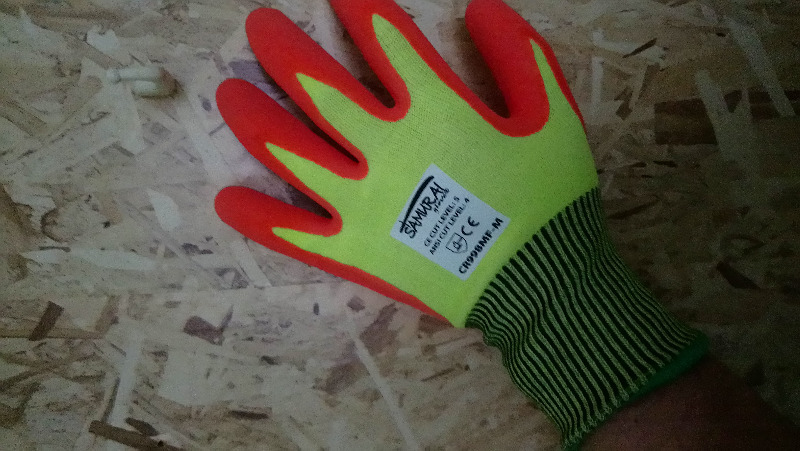 The Samurai CR998MF features a seamless hi visibility Tuffalene® HDPE shell and is finished of with a Hi Vis orange mach finish on the palm and fingers. This combination provides excellent dexterity and comfort with ANSI level 4 cut protection. Used wherever handling sharp or abrasive objects such as glass, sheet metal or razor sharp steel and a high cut resistant level is required. Great for metal fabrication, assembly, automotive, Window manufacturing, construction and recycling sorting. Gloves are quite a bit thicker than I thought theg would be. They seem to be made more for material handling rather than dexterous work.